There are a number of methods by which you can share content between two Android phones. For example, you can send files using Bluetooth which is one of the oldest and evergreen method. You can also use third-party apps like SHAREit and Xender, which makes use of Wi-Fi direct feature to transfer data at much faster rate, nearly 200 times faster than Bluetooth speed. You might have heard about another feature named as NFC which lets you share content between two smartphones over Android Beam. Here we will discuss about this feature and how you can use it to transfer the files just by tapping the phones back-to-back. Isn't that cool? Let's dive into the topic. 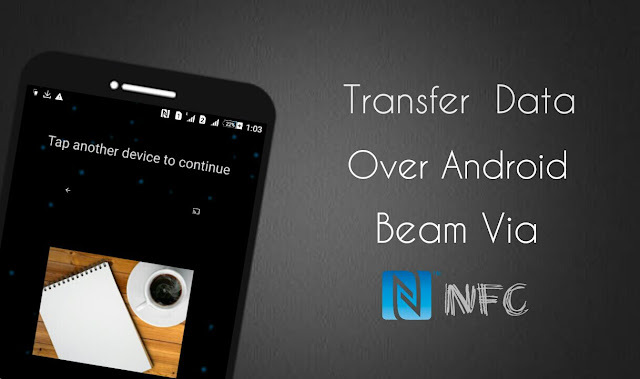 What is Android Beam and NFC? Media files and documents - such as photos, videos and music. Apps based content - some applications can customize the content which is to be shared over Android Beam. There is no need to setup anything and pair devices as like you do in case of Bluetooth. Neither you have to install any third-party app. All you have to do is, just open the content you wants to share and then press the phones back-to-back. How to check if your phone supports NFC? 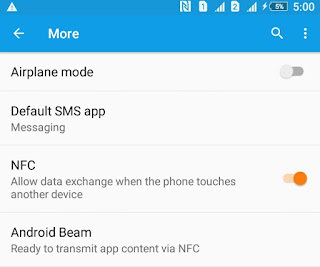 In order to share content over Android Beam, first you have to ensure that the both devices support NFC feature. To check this out, first go to Settings and then click More option under Wireless and Networks section. Now find the NFC button. If it's not there, then most probably your phone doesn't support NFC and you can't use Android Beam feature. In some smartphones, especially in Sony Xperia series, you can check the back-side of phone to find the NFC logo. You can also check it on the phone's packaging box. Android Beam was first introduced in Android's Ice Cream Sandwich version. So if your phone doesn't support NFC, then either it doesn't have NFC hardware or you are using an older version of Android. First of all, enable the NFC option in both devices. Again open Settings and click More option under Wireless and Networks section. Here switch on the NFC button and that's it. Next, open the exact content you want to share like map, YouTube video, webpage or contact information. For example, if you want to send a photo, then open Gallery and select it. You can also select multiple items simultaneously. Now press the phones back-to-back. In some smartphones, you have to press them from the part where NFC chip is located, generally close to the rear camera. Once the connection is established, you will hear a sound and vibration in both devices. You will also see a "Touch to Beam" message on screen with an animated background. Now touch the item on screen and it will be shared with other phone instantly. You may need to press the devices again. Basically, it was decided by app itself that which content to be shared over Android Beam. However, if an app doesn't mention that, then the receiving phone will open Google Play Store to install that app. This is how you can share content over Android Beam via NFC. If you would like to ask something about this tutorial, please do share it in the below comment box.